Welcome to Central Park Data Systems! 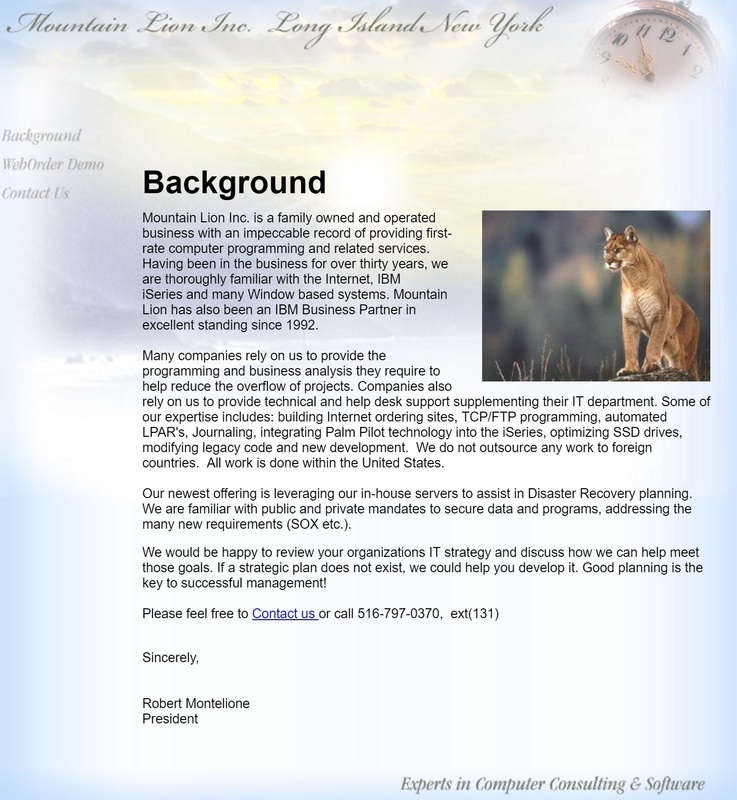 Effective July 2016 Mountain Lion, Inc. has referred all of its business activities to our firm. Robert Montelione and his associates have served the IBM i community extremely well for many years and we are proud to continue in this tradition. Please contact us for all of your IBM IT consulting requirements, we are certain our team can support your projects with efficiency, timeliness and integrity.